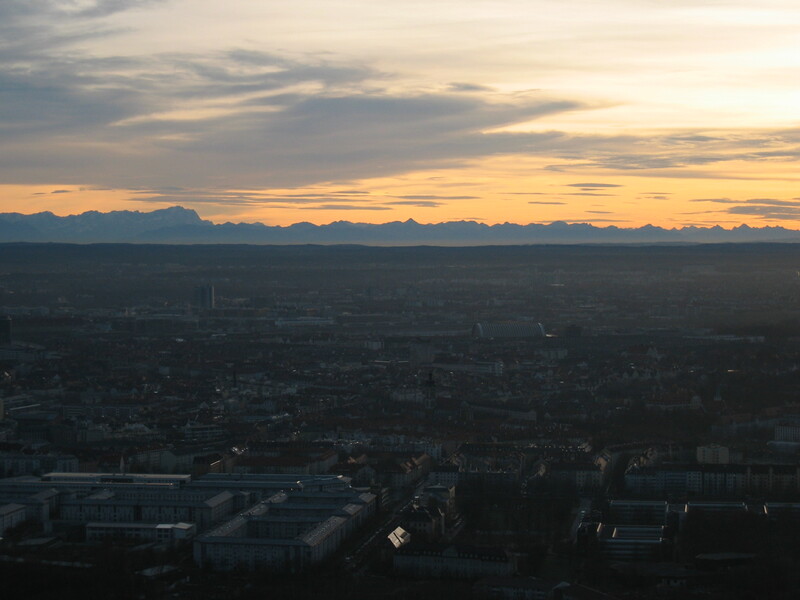 Zugspitze, Germany/Austria, seen from Olympic Tower, Munich. Distances in kilometres. Olympic Tower, Munich, to Grossglockner, Austria. Distances in kilometers. Photo credit: Thomas May. Data Source: Alps 1". See also a discussion document about the effect of atmospheric refraction on this view. S�ntis. 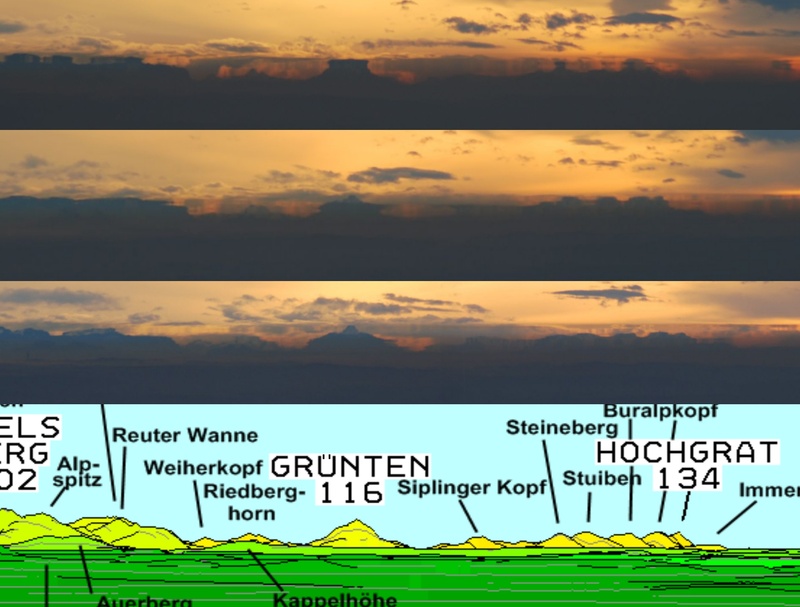 This view is theoretically impossible under normal atmosperic conditions, but an extreme atmospheric effect of temperature inversion means that something shows up, which on comparison with an aerial view from a higher elevation, is assumed to include S�ntis. Gr�nten. The image shows a time sequence of photographs of the changing effects of refraction. East. A panorama looking east. Some local cityscape features are included. NEW January 2009 A complete panorama to the Alps. Some local cityscape features are included.